This shot was taken at the Falmouth Fashion Show 2013. I was blogging the show from the front row, sitting with the Head of Fashion. It was an incredible show this year with some brilliant runway collections from 3rd year Fashion and Performance Sportswear Design students. I didn’t know what I was going to wear (which is a number one dilemma) but seeing as I had got this bespoke suit made, I thought this would be the perfect opportunity to wear it! Two Days In A Row ! 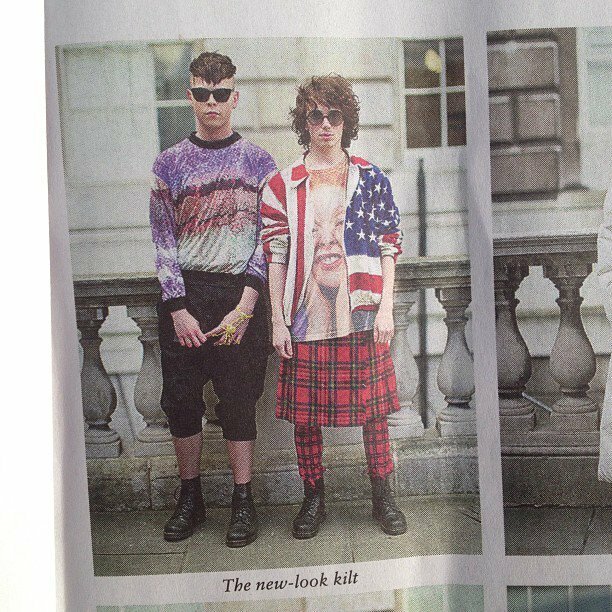 I was pleasantly surprised to find this image inside the London Fashion Week ‘The Daily’ newspaper as I wandered into Somerset House for another day of networking, shows, champagne receptions and everything in between.